Hagland Shipping has bought “Hagland Chief” from Dutch owners. The vessel was built in India in 2012, and has since then been chartered to Hagland Shipping. The vessel is a self-discharging bulk vessel with 4,700 dwt capacity, and is the sister vessel of “Hagland Captain” which was bought by Hagland Shipping in June 2016. 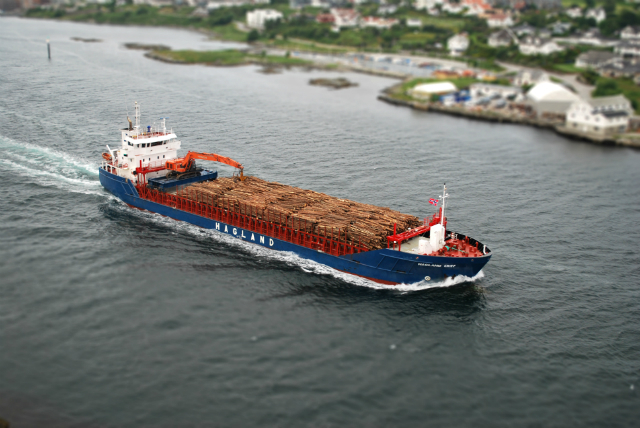 “Hagland Chief” has Norwegian (NIS) flag and will continue to be part of Hagland Shipping’s fleet of 11 vessels. Haglnad Shipping sold the vessel “Minerva” earlier this month to a Norwegian buyer. The vessel is however chartered back to Hagland Shipping and will thus continue to be part of the Hagland fleet. The vessel, renamed Imperator, has now Norwegian (NIS) flag.